When Europe’s leading social trading platform sought to boost acceleration and extend their team, they looked to IT Outsourcing. 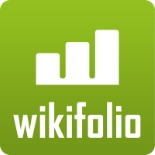 Working on the Front & Back-End, both wikifolio.com and Pentalog were able to structure content on the platform to make it more user-friendly while supporting an influx of new customers. POP’n link turned to Pentalog to create a functional MVP for the IoT on a tight deadline after being selected to participate in a major professional event that would be crucial to getting the word out about their solution and meeting potential partners, investors, and customers. How can an international e-commerce company harmonize its global IT infrastructure in order to create a more efficient online environment managing both B2B and B2C operations? 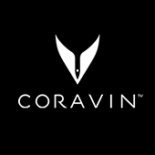 Coravin called upon Pentalog to restructure all of the IT infrastructure surrounding their e-commerce operations. Big Brothers Big Sisters of NYC (BBBSNYC) had a vision: to create a mobile app that would help their adult volunteers feel more connected with other mentors, with case managers, and with the inner city kids being mentored.Although other local chapters of BBBS had created some apps, this was the first app for BBBSNYC, one that would change how their mentors were supported, to have a greater impact on their match relationship. Rather than setting up a large in-house development team, yband therapy AG decided to team up with Pentalog so we could create the Android, iOS, and even the web technology that they needed to complement their innovative MedTech devices. When you are developing a MVP you want to move as quickly as possible to release the product and gather data. To push out their MVP with the goal of exploring a new mobile business opportunity, Larvol decided to team up with a Pentalog team of iOS developers. The storefront for an E-commerce business is their website. It has to both look good and and function well in order to attract customers. We re-created Sensee’s storefront by updating their websites with new technologies, providing the best customer experience possible. What can a medical professional do when they have a great idea for a Medtech app but no technical experience? This was exactly the case for Albert Hofeldt, MD, an ophthalmologist and the President of AMA Optics, Inc. His solution was to team up with Pentalog developers, combining his medical experience with our IT know-how. ISABELLENHÜTTE is one of the world’s leading manufacturers of electrical resistance and thermoelectric materials for temperature measurement and passive components in the automotive, electrical and electronics industries.